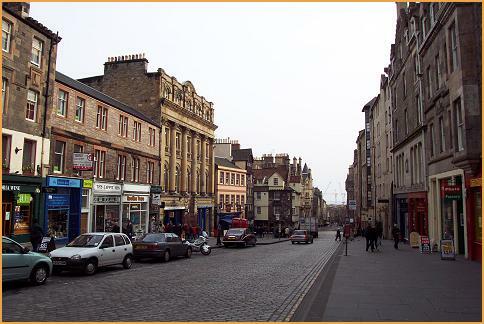 This is a look down the east end of the Royal Mile. The John Knox house is just to the right of center of the photo. 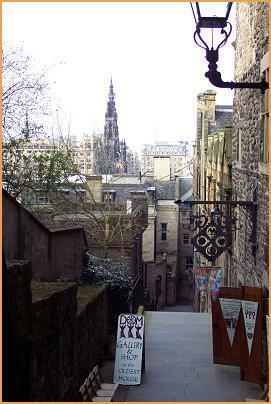 It is one of the oldest continuously inhabited buildings in Edinburgh, built in 1556. 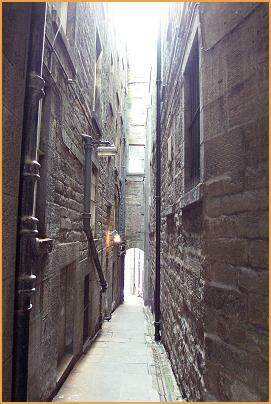 A narrow passageway between buildings is called a "close". This is because in medieval times, there was not a lot of suitable land on which to build, so instead of spreading out the buildings grew vertically. 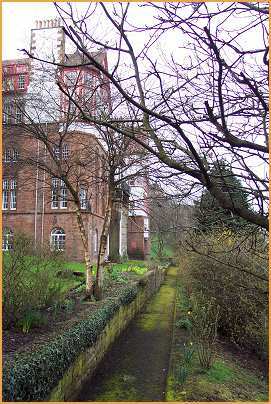 Closes usually led to a common courtyard used by a number of buildings (see below). This particular close is called the "Fleshmarket Close". Don't ask why. Some closes open up to lovely garden areas (left). Others lead to long, descending staircases called "wynds" (right). 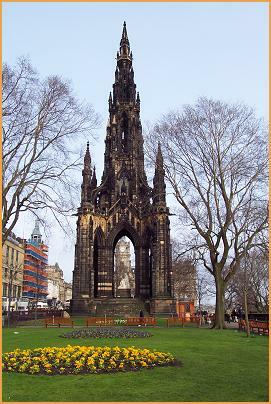 The Sir Walter Scott monument.